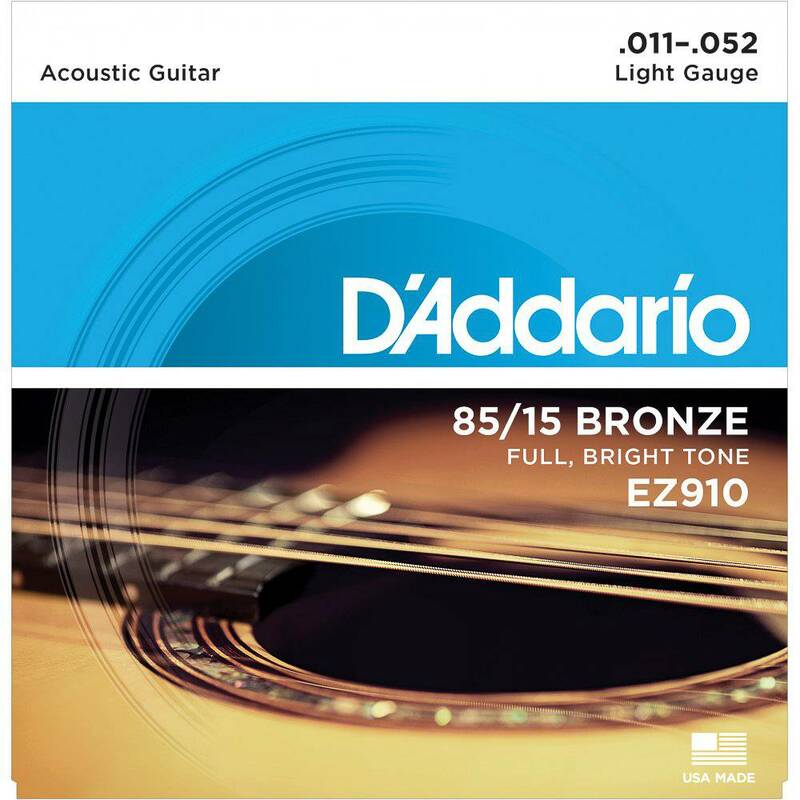 D'Addario, Great American Bronze 85-15 Bronze roundwound acoustic guitar strings. Full fundamental low end , extremely bright high end, even more tonal range than 80/20 bronze strings. Great American bronze strings combine the brilliance of 80/20 alloy strings with the great sustain and long-lasting characteristics of phosphor bronze. EZ910 - 11, 15, 24, 32, 42, 52.